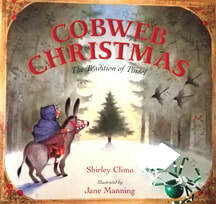 This book is an elaborate variation of the story of the tradition of tinsel. It is a hard cover book with lovely illustration on each page. Especially good for toddlers to 8 years old. 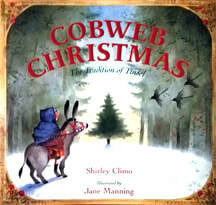 A very nice book to add to your Christmas Book Collection. The book comes with or without a Christmas Spider in a choice of color. Book with Spider $20, without Spider $15. ​ to go with the chosen color. Photos of spiders are examples only.